Penny stock promoters are those who promote or advertise stocks of a company to its potential investors. They are paid to hype a stock in order to increase its trading volume with a goal of increasing its price. New to investing? Join Investors Hangout here. Penny stock promoters bring information about different stocks to the potential investors and drive their attention towards those stocks. The target investors of penny stock promoters are foreign or domestic investors, depending upon the investment type. Penny stock promoters provide positive information about certain stocks on websites or newsletters or via emails. They also promote hyped penny stocks via cold calling. One the excitement for a particular penny stocks reaches to the next level, the price of those stocks are increased in order to provide additional revenue for the business and to provide an opportunity to shareholders to sell their shares at higher prices. Many penny stock promoters promote penny stocks because these stocks are traded on the Pink Sheets or Over the Counter Bulletin Board (OTCBB) and therefore, finding information on penny stock companies is very difficult as these companies do not require to provide much data to get listed on OTC Bulletin Board or the Pink Sheets unlike other stocks which are traded on major exchanges like NASDAQ and New York Stock Exchange (NYSE) where companies need to provide much data to get listed on major exchanges. In order to promote penny stocks, stock promoters begin their promotional activity by sending emails to the potential investors during the whole promotion period. Stock promoters also use community forums, message boards and social media sites such as Twitter to promote penny stocks. Promoters generally use terms like “next big thing”, “hot penny stock” to drag the attention of potential investors towards promoted penny stocks. The main job of penny stock promoters is to increase the trade volume for certain penny stocks as much as possible. If the promotional activity works as per the planning, the price of stocks gets double, triple or even more than expectations. In cold calling, penny stock promoters call prospective investors and offer them to purchase the stock of that company which they are promoting. It has always been one of the main tools promoters use for penny stock promoting. Nowadays, with the development of other communication channels, cold calling is losing its importance. Penny stock promoters have email address directories of all potential investors through which they send numerous emails to them, addressing their offers of hot penny stocks. Many penny stock promoters prepare investment reports of penny stock companies where they put detailed information of the company, its operations and financial statements. Then they distribute these reports to their potential investors via emails or publish these reports on the company’s websites and newsletters. Social media is one of the best and easy platforms to reach potential investors at a mass level. 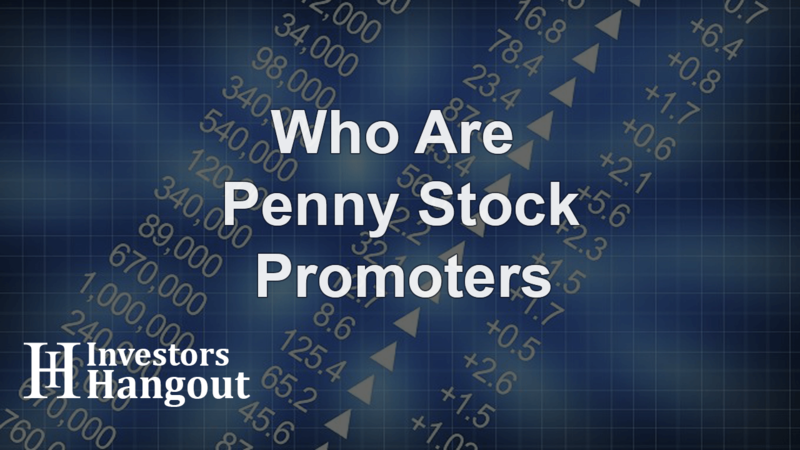 Penny stock promoters are also using social media to find potential investors. They make a direct connection with investors via messaging or create click-bait advertisements to get in touch with huge investors. After that, they advertise their penny stocks to them. The newsletters or emails sent by penny stock promoters have fine prints at the very bottom of the page. One can easily recognize penny stock promoters from their disclaimers that whether the disclaimers are authentic or are they, scammers. Sometimes, you may encounter that the companies which are promoted, are not profitable at all, some of those are even on the verge of bankruptcy. So, don’t come in influence of the penny stock promoters because the release of good news about a certain company does not make it profitable or reliable. Look at the trends of the market and the performance of promoted stocks before making any decision. Be cautious from those promoters who tell you about good news and huge profits the company is making and will make in future. Penny stock promoters can give a false impression of penny stocks to attract potential investors. These stocks might succeed or fail. First of all, penny stocks are already not properly registered with the Securities and Exchange Commission (SEC), and secondly, the promoters of penny stocks are also not registered promoters. So, high risks are associated with promoted penny stocks. Some of the penny stock promoters are also linked to a high number of stock investment scams and litigation. Further risks exist in those areas where writers are paid to promote certain penny stocks. In a situation where is paid for reviewing a particular penny stock, chances are high that the information provided by that person is skewed. Speaking more positive words about that particular penny stock makes it not good for investment. So, one should not trade promoted penny stocks to avoid any further stock related risks. Penny stock promoters are more of scammers who exaggerate the quality of penny stocks and promote them to the potential investors to increase the trade volume. Many times, investors come in the influence of these promoters and purchase that penny stocks which are of no use at all. The best way to choose penny stocks for trading is to perform your own research. Though the information of penny stock companies is very limited, still one can gather a huge amount of data for research and analysis purpose if he works seriously on it. Penny stock promoters can blow out your huge money, so always trade with great precautions. All the best and happy trading!